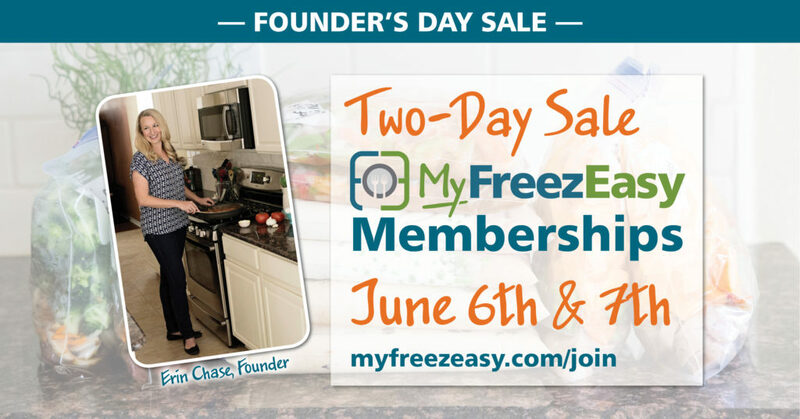 MyFreezEasy – Save on Memberships During Founder’s Day Sale! Have I ever told you the story of how and why MyFreezEasy came to be?! In 2014, I shared a printable download of 20 meals that you can make using ingredients from Costco. It had recipes and shopping list and how you can “mix and match” different bulk ingredients from Costco into different meals, including some freezer meals. And then it went viral again on its own a few months later. Like, crash my website viral. And then I made another version and a third set of recipes. And the fourth set of recipes went ridiculously viral – more so than the first two times. They weren’t perfect – because you didn’t like all the recipes on the lists in each set. I worked with our developers to build a web app and mobile app that would allow you to choose the recipes that would go onto your freezer meal plan. And built it in a way that was similar to all of our meal plans using ingredients from Costco – where you double each recipe to make 2 meals worth. And where you get to drag and drop recipes to make a list that’s perfect for your family! And this “double each recipe” option is by far the fastest, most efficient and most affordable. MyFreezEasy is a freezer cooking strategy and method for getting delicious, wholesome meals into your freezer from Erin Chase & $5 Dinners. Yes, you can make 10 freezer meals and get them into your freezer in less than one hour. I’m here to equip you and help you get a delicious dinner on the table without any fuss. It’s high time you feel like you have your act together in the kitchen and with getting dinner made for your family. When you can get delicious, budget-friendly meals into the freezer this quickly, you’ll find yourself with more time to spend with your family AND be on your way to achieving financial freedom or your next financial goal! It’s Freezer Cooking in a Flash! Weeknight dinners have never been this easy! It takes a special kind of recipe to work in this kind of quick freezer meal prep & strategy and I’ve pulled all the best recipes together to help ease the pain and stress of getting a delicious, wholesome dinner on the table! To celebrate moving into our third year, I’ve lowered our membership prices for YOU! But just through the end of the day Thursday!! If you’re ready to take the leap and get your freezer loaded, I’ve got the tools and resources (specifically, a super cool meal plan builder web-app – watch below!) that you need to help you become the QUEEN OF THE DINNER HOUR. I’d love to help you build personalized and customized meal plans in minutes, so you’ll have the perfect set of meals in your freezer. 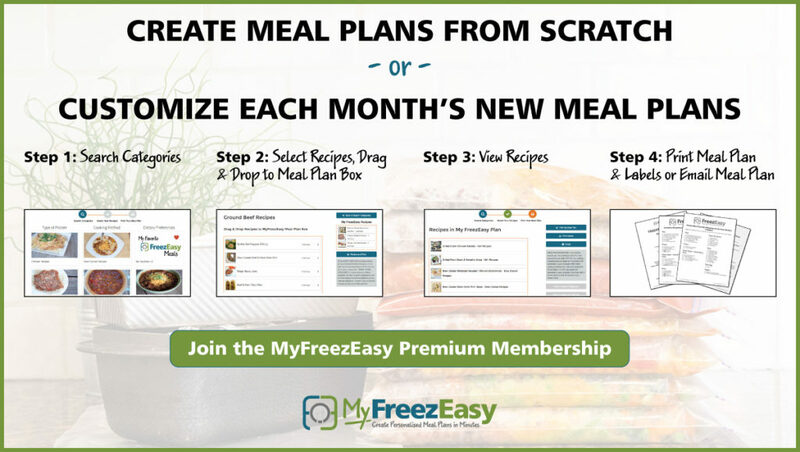 The meal plan creation tool is now available and with it, you can create or personalize our freezer meal plans so they are perfect for you and your family’s taste preferences and food restrictions. Get started today with these discounted membership prices – as little as $7.91/month! Details & membership discounts here – get started today!